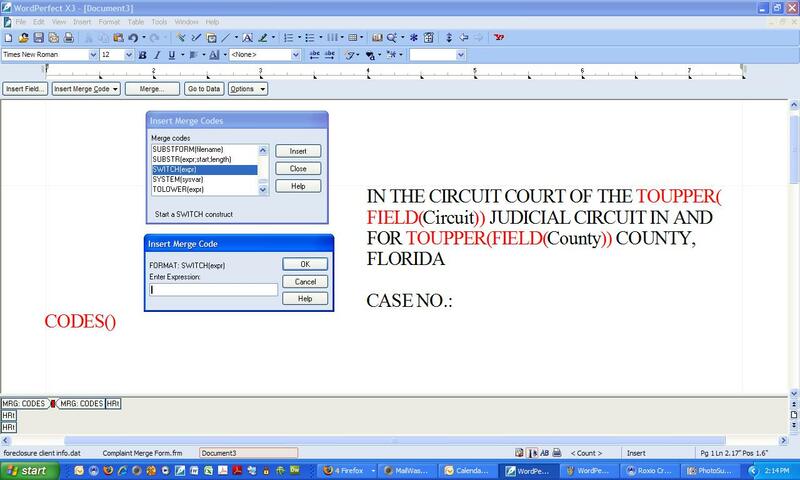 In generating a WordPerfect merge document, one of my clients wanted to type an acronym for a plaintiff ONE time and have the merge process insert many different things in the document, based on that one, shortened client reference. This particular merge form was only used for three clients, so the example is limited to three. Keep in mind, you can have more or less. Note: You can’t just type this code. Here’s how to insert the code into your form document. Leave the Merge Code dialog box displayed if it doesn’t bother you, close it if it does. (I closed it so as not to confuse anyone.) Next click the “Insert Field” button on the Merge subtoolbar and select the field you need. 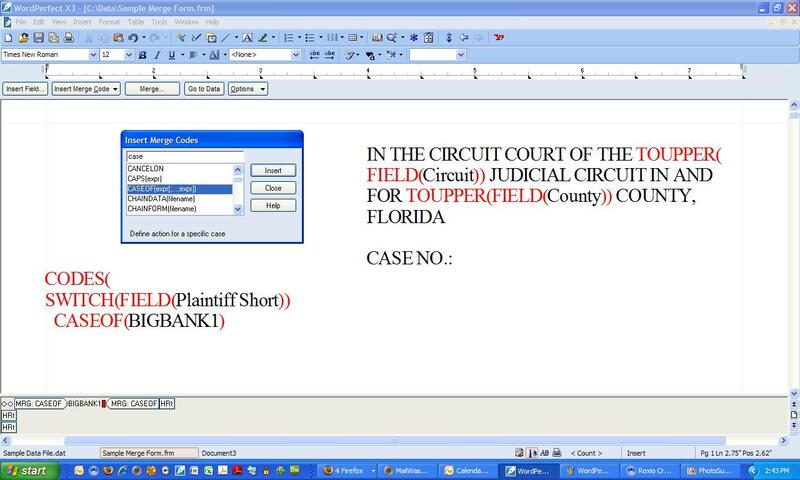 In this case, I selected the “Plaintiff Short” field and clicked insert. 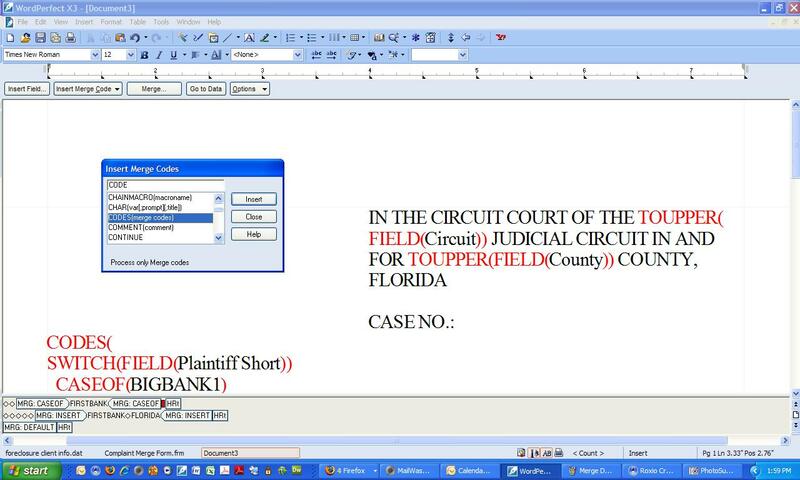 In this case, the text “BIGBANK1” is entered. Step 7. Finish by inserting the “ENDSWITCH” merge code. The end parenthesis for the CODE command still appears and it completes the code snippet! Step 8. 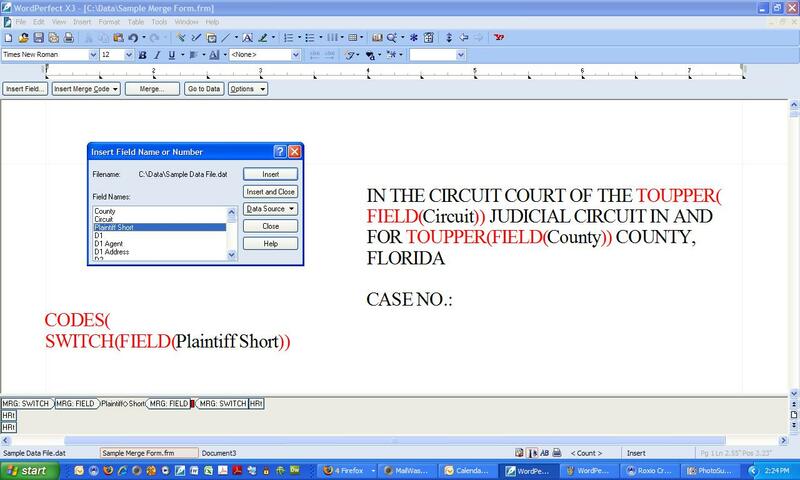 One simple way to use the result of that snippet is to insert the “Plaintiff Short” field into the document everywhere the Plaintiff’s acronym should appear, but there are lots of other possibilities! Want to learn more? Visit www.pragmaticcom.com and schedule a training session!